SACRAMENTO, Calif. (KGO) -- A Sacramento mother is upset after she says her son's toy came with racist elements. 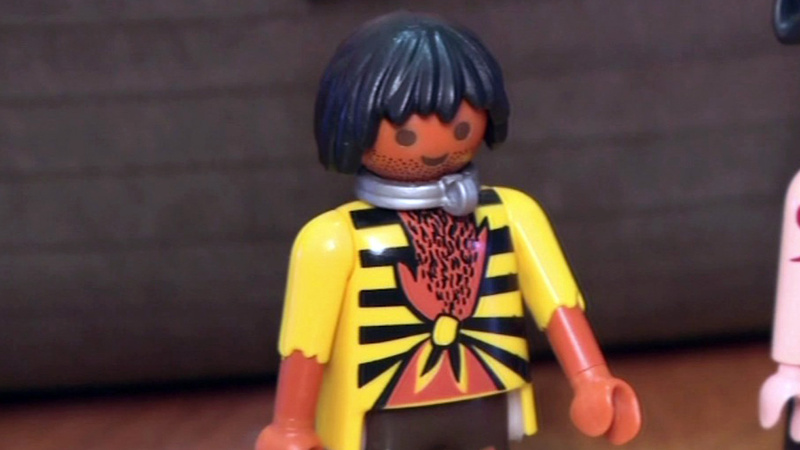 A Playmobil pirate ship came with several figurines, including one that Ida Lockett says depicts a slave with a neck piece that looks very similar to a slave collar. "You cannot have this specific accessory and call it anything else. The fact that you can Google it, look it up, say what it is-it's a slave collar," said Ida Lockett. Lockett says she bought the toy for $90 at Toys 'R' Us. The Sacramento NAACP is now demanding the toy be pulled off the shelves. So far, Toys 'R' Us and Playmobil have not commented on the accusations.